Planning permission was agreed by Hounslow for the final phase of Brentford Locks regeneration for MUSE. This follows on from two successful phases with award winning buildings by noted architects including Duggan Morris, Karakusevic Carson, Mae and Mikhail Riches. The final and largest phase was won by GRID architects in a limited competition. Within a series of perimeter blocks and carefully considered streets, the residential led proposal incorporates new public spaces, commercial and retail accommodation as well as a canoe club. 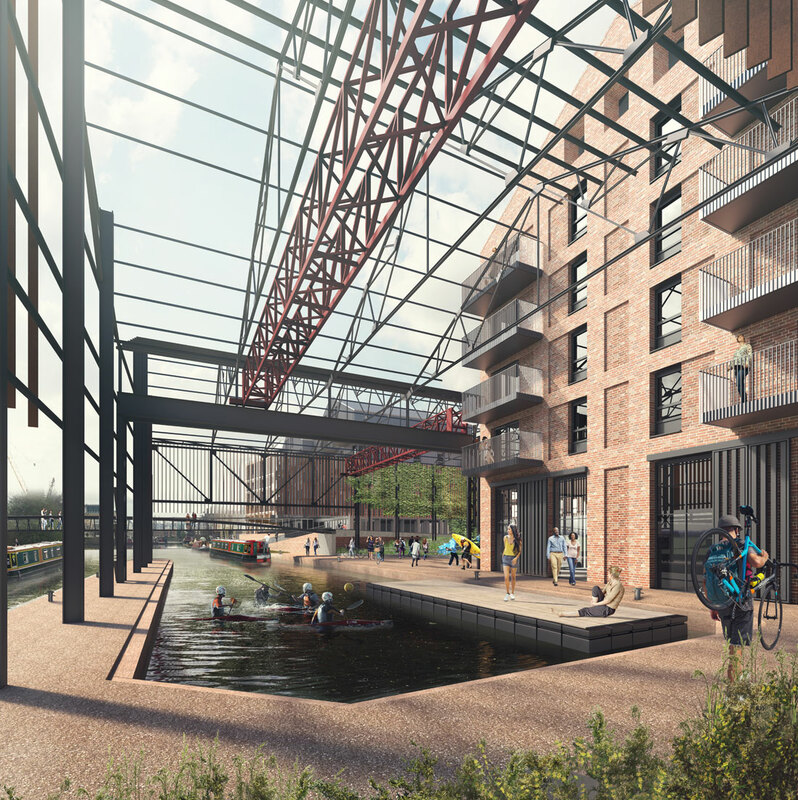 The final phase also restores the heritage warehouse frames overhanging the water and re-presents canal side activities. A new footbridge (designed by GRID and Hewson Consulting Engineers) connects the new public square (GRID and landscape architect Fabrik) to the Recreation Ground opposite, providing a much needed connection towards Brentford Railway Station.